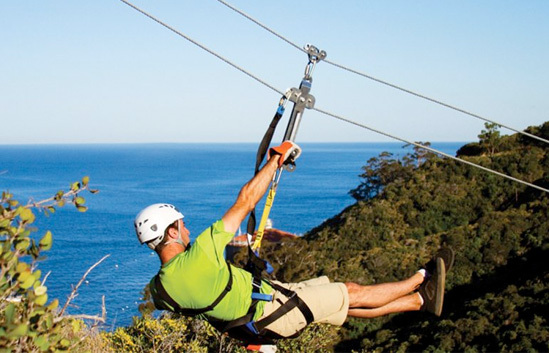 Explore further afield with these popular land and sea tours. Learn the history and techniques. 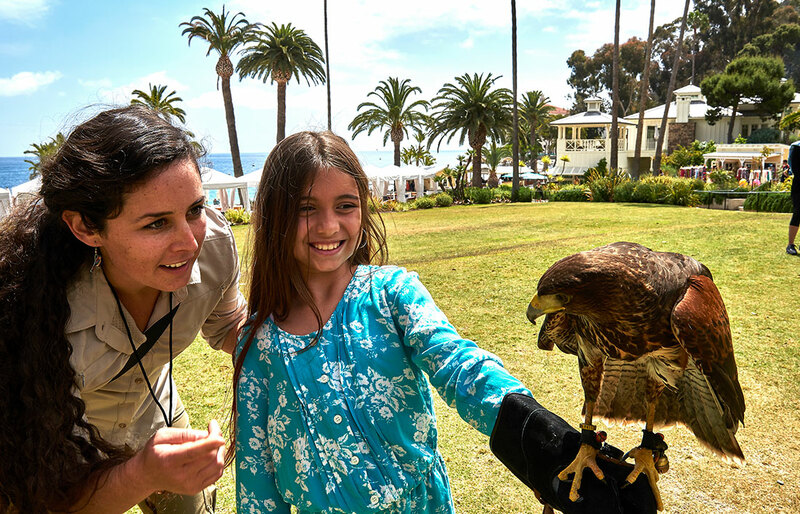 One of the few places in Southern California where you can “be the falconer” and have a bird of prey land on your arm. 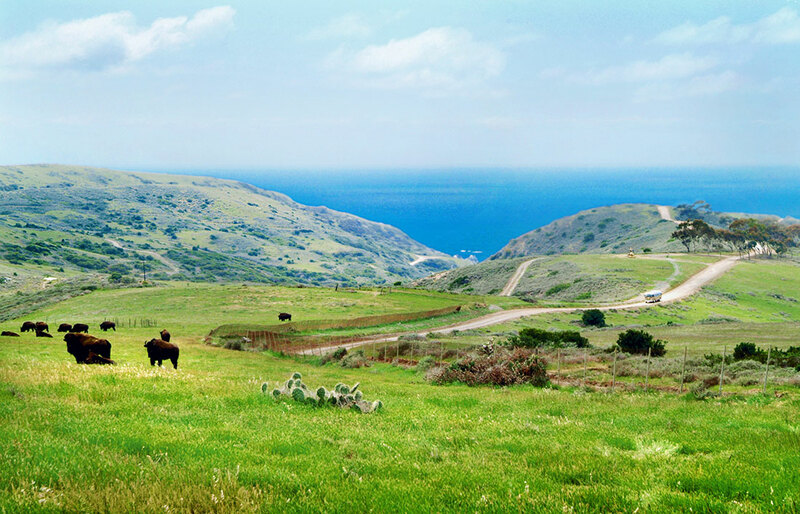 This comprehensive tour takes you 31 miles through Catalina’s rugged interior. You will have the opportunity to look for bald eagles, bison, and mule deer. 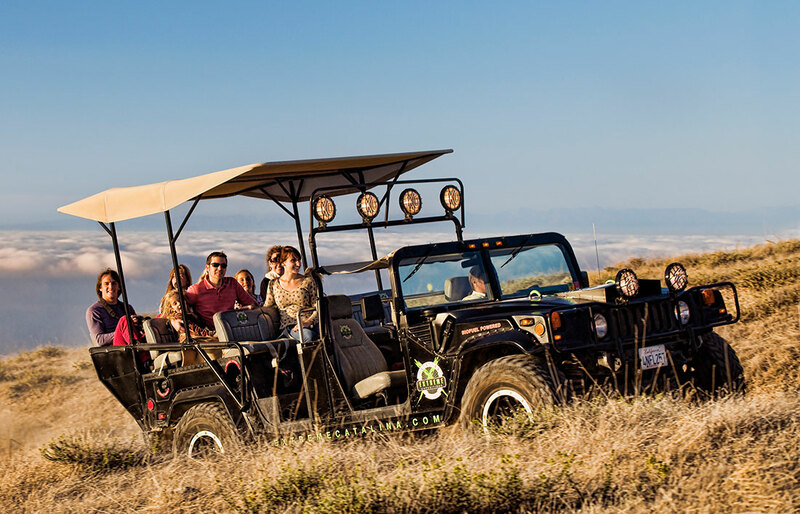 Get an intimate feel for Catalina’s unique topography on this off-road adventure around rugged canyons that open to vast ocean horizons. 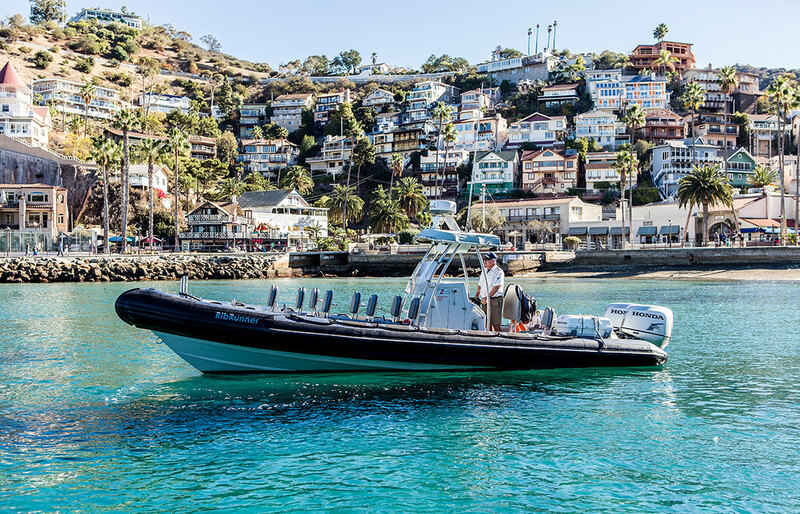 Get a whole new perspective of Catalina on this unique tour of the island’s coastal waters aboard a speedy Ribcraft boat. There’s a chance you’ll also see dolphins! 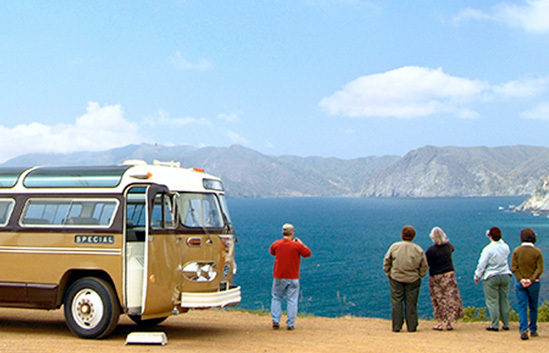 This exciting, narrated journey along the scenic “Skyline Drive” takes you ten miles into Catalina Island’s protected wilderness area on a 1950’s Flexible Bus. Propel down 5 separate zip lines dropping from 600 feet above sea level with one run that is 1,100 lineal feet long all on its own. A Catalina favorite! Come face-to-face with Catalina’s abundant marine life by cruising five feet under water in a spacious, climate-controlled cabin in an undersea adventure!